Data center operations company, OnRamp Access, provides hybrid hosting solutions which combine managed hosting, colocation and the cloud to facilitate the deployment of a secure, scalable and reliable infrastructure designed specifically to the needs of each customer. Going far beyond the basic necessities of providing a secure physical environment to house its customers servers, OnRamps hybrid services solve the problems customers face in needing to quickly adapt their data center strategy to cater to unexpected growth. Having the ability to mix and match services ensures OnRamp customers are able to scale operations without incurring the costs of acquiring additional equipment or man power. While most other data centers solely offer colocation or managed hosting, OnRamp is unique in that it offers both data center services. This enables customers to add OnRamp managed hosting services to their colocation environment or vice versa. When virtualization is included, OnRamp can provide private cloud solutions that allow customers to quickly scale their IT footprint on-demand when additional resources are needed to accommodate for growth or development. This combination, or hybridization, of services facilitates the deployment of a secure, scalable and reliable infrastructure designed to accommodate the real world demands for growth and scalability. OnRamps suite of hybrid hosting services bridge the gap between traditional colocation and the cloud. The companys goal is to provide solutions to help customers accomplish their data center mission, whatever it may be. This means OnRamp can deliver services that exceed the rudimentary requirements of providing adequate bandwidth, power and a secure environment to delivering services all the way through the application layer. As an HP, Microsoft, Dell, Cisco, VmWare, Citrix and Red Hat certified partner, OnRamps engineers have technical experience and capabilities at each and every layer of data center operations. While most providers stop at the network layer, OnRamps team of engineers has the deep experience and capabilities to support customers in all aspects of their data center operations. One OnRamp customer that truly understands the benefits of a hybrid hosting solution combined both private cloud and colocation services to meet the challenges associated with the rapid growth of their company. ExamSoft, a provider of computer based testing (CBT) solutions for the academic setting, had outgrown its production environment and, with the addition of a new Mac product to the companys suite of services, required a more flexible hosted solution. The integration of a dedicated managed hosting environment into their collocated equipment allowed ExamSoft to integrate applications to match the right workload with the right platform. Working closely with OnRamps technical staff and onsite engineers, ExamSoft was able to implement a customized solution enabling an increase in availability, speed and security for their expanding customer base. Hybrid solutions from OnRamp address the move companies are making to accomplish scalability, flexibility, reliability and continuity goals, said Lucas Braun, OnRamp CEO. When we talk to managers across industries, we consistently hear how important their IT systems have become in every facet of their business. When these systems arent available or secured properly, their business grounds to a halt, and that costs them money and customers. 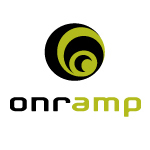 OnRamp was founded in 1994 in Austin, Texas. As one of Texas first Internet operations companies, OnRamps history is rooted in providing reliable and secure connectivity that enables distributed computing. Today, OnRamp is a data center operations company that delivers colocation, managed hosting, cloud and disaster recovery services backed by Full7Layer Support.